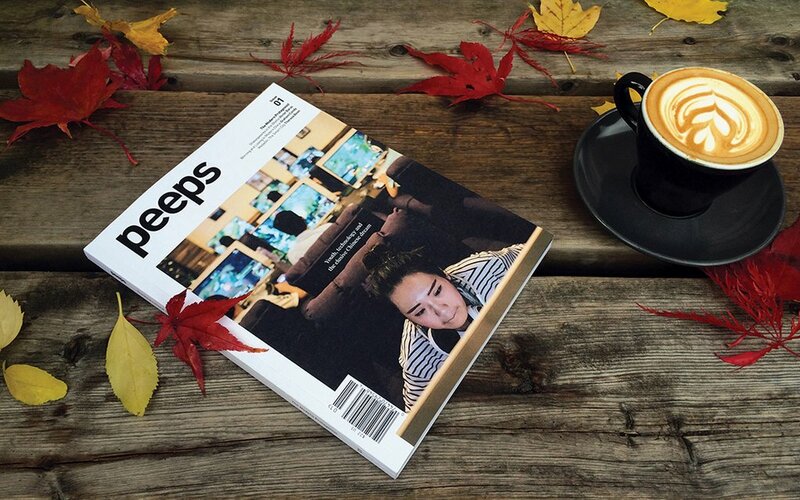 Today we received a hard copy of Peeps, a new and impressive magazine that presents itself as “anthropology for non-anthropologists”, aimed at putting “culture and context before events, bringing investigative stories from corners around the world, and offering readers engaging analysis and authoritative insight into contemporary human affairs”. According to an article in Anthropologizing, the Toronto-based magazine – edited by Aliah El-Houni and Anya-Milana Sulaver – is “the first of its kind to offer the insights and stories of anthropologists and human scientists in a popular format alongside world ­class photojournalism, illustration and stunning design. Issue One is entitled “The Modern Protagonist.” It looks at how technology has become a central figure in the growth and development of modern culture. Perspectives from people around the world on the role of technology in their lives.